Dr. Ryan Michalovicz welcomes you! 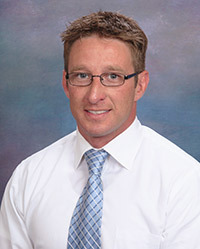 Dr. Ryan Michalovicz is a native of the Pittsburgh area and lives in the South Hills. He attended Penn State University and graduated in 1999 with a BS in Health Policy and Administration. He discovered the power of chiropractic after traditional medicine failed to alleviate his own back pain after an injury in the gym. A chiropractor helped him back to wellness. He earned his Doctor of Chiropractic degree from Life University Chiropractic College in Atlanta, Georgia. He was a resident at Life General Health Center, where he completed his internship. Dr. Ryan’s mission is to offer patients the opportunity to harness the body’s own ability to heal itself, without the need to take drugs, or the need for surgery. He will design an assertive program to alleviate your pain, and develop a treatment plan that will make you more comfortable. Whether you’re a highly competitive athlete or just interested in a better quality of life, Dr. Ryan strives to surpass your expectations about chiropractic.